BALI MARINE PARK – The Government of Indonesia has declared 24 marine protected areas throughout the country. There are plans to expand this to 85 reserves covering 30 million hectares. Recent initiatives include plans for the management of important marine habitants such as coral reefs and mangroves for sustainable use and conservation. BALI ELEPHANT SAFARI PARK – Don't leave Bali without visiting these truly unique and spectacular Indonesian Elephants. Located in the cool jungle forest of Desa Taro, (20 mins north of Ubud Bali), the Elephant Safari Park offers you the chance to feed and interact with these wonderful creatures in a natural setting. BALI BIRD PARK – Taman Burung Bali Bird Park, Singapadu, near Batubulan. Taman Burung houses over 1000 birds, including varieties from all over Indonesia. One of the aims of the park is to breed endangered species in captivity, including the indigenous Bali Mynah. BALI BARAT NATIONAL PARK – Almost the whole of the western tip of Bali, covering an area of over 750 square km, has been set aside as a conservation area. Included within the park's boundaries are open savanahs, rainforests, mangrove swamps, coral reefs and Pulau Menjangan (Deer Island), a small island off the north coast of Bali. 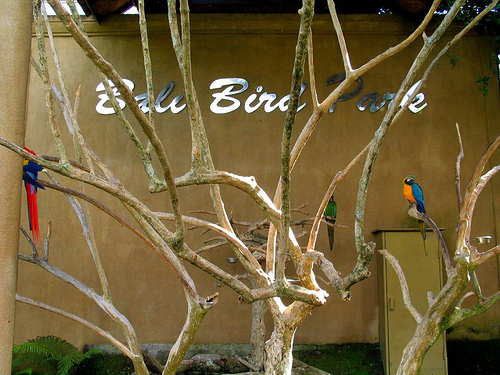 The park is a haven for a wide range of animals and birds, especially the endangered Bali Starling. BALI BUTTERFLY PARK – Taman Kupu Kupu, Jl. Batukaru, Sandan Wanasari, Tabanan Regency. 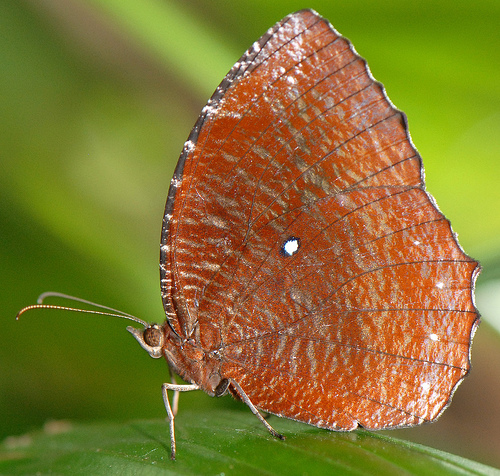 Recently opened, Indonesia's only butterfly park is helping to study, breed and preserve many kinds of butterflies from Bali and all over Indonesia. BALI BOTANICAL GARDENS – Kebun Raya Eka Karya, Bedugul Bali. Established in 1959 these gardens cover over 120 hectares on the slopes of Gunung Pohon (Tree Mountain). The gardens contain a huge collection of trees, nearly 500 varieties of orchid and are rich in birdlife. 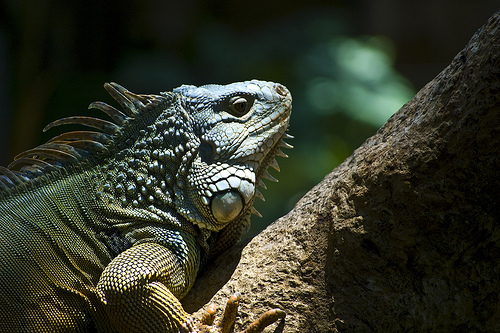 BALI REPTILE PARK – Step out of time into the fantastic world that awaits you at the Bali Reptile Park. Enter the dawn of time when Dinosaurs ruled the earth, Komodo Dragons stalked their prey and Crocodiles emerged from the swamps. 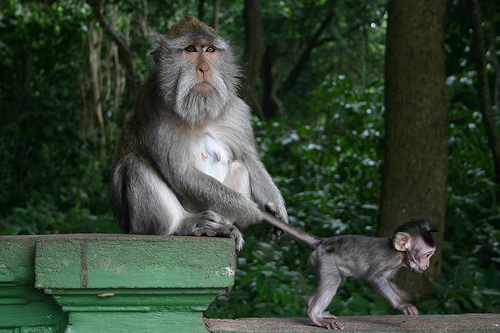 BALI SANGEH MONKEY FOREST – Near the village of Sangeh Bali. This forest, of approximately 6 hectares, is filled with giant nutmeg trees that can grow up to 40m high. The main attractions here are the hordes of Balinese monkeys that inhabit both the trees and the temple, Pura Bukit Sari, located in the heart of the forest. 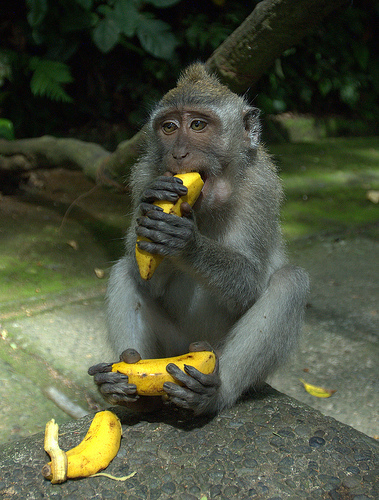 UBUD MONKEY FOREST BALI – Ubud Bali. This forest is smaller than the one at Sangeh but the monkeys are just as wild. BLAHMANTUNG WATERFALL BALI – Near Pupuan, west Bali. Dropping over 100m, this waterfall is spectacular, especially during the rainy season. GITGIT WATERFALL BALI – 10km south of Singaraja Bali. 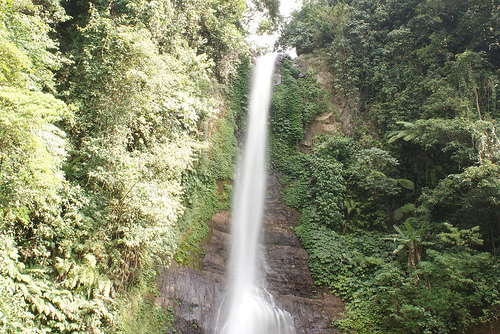 Not far from the main road, Gitgit is an impressive 40m waterfall that gushes into a deep pool. 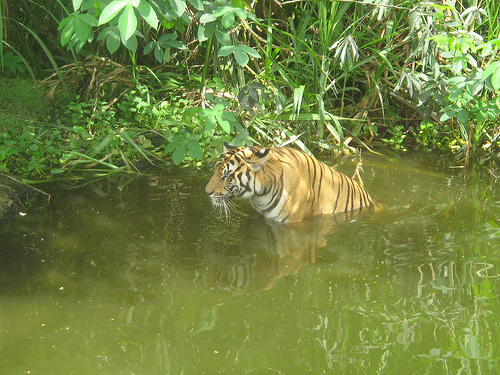 Did any of these pictures inspired you to go and explore the eco parks in Bali? Now is a great time for deals so them before they are gone.